Stunning silver and light as a feather! 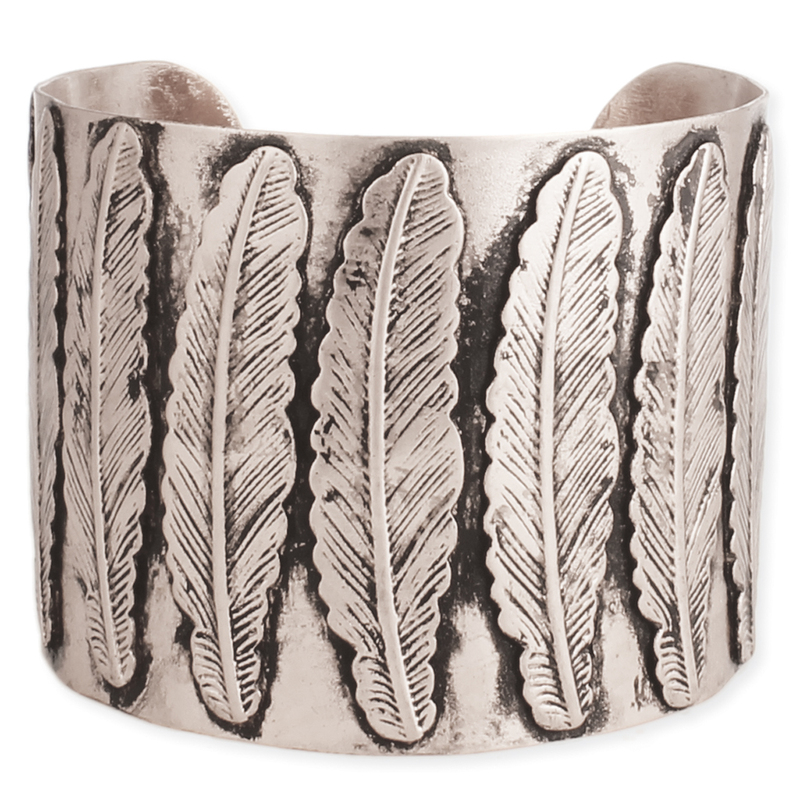 This wide silver feather cuff bracelet includes a row of embossed silver feathers. Evoke warm Arizona nights with this perfect Southwest design.